A is For Arsenic is most definitely a niche read, but it's a must-have for diehard Christie fans. I count myself in that category, and so does the book's author, Kathryn Harkup: she's described on the back-cover blurb as a "chemist, author and Agatha Christie fanatic." 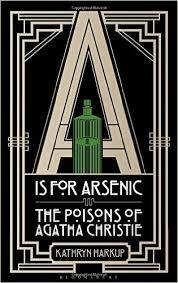 She combines all of these attributes in this book which focuses on fourteen different poisons (arsenic through Veronal -- alpha by poison) used by Christie to kill off several of her victims in her novels and short stories. After a brief introduction in which we discover (among other things) that Agatha Christie was a trained apothecary's assistant (dispenser) with an incredibly in-depth knowledge of poisons, Harkup wastes no time getting into the meat of this book. Let's take the opening chapter, which happens to be "A is for Arsenic." Each entry follows pretty much the same pattern, so I'll just offer a brief look at the first. 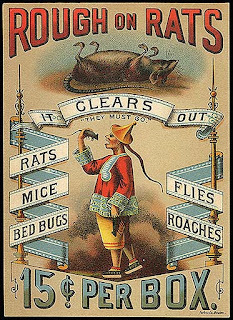 The Christie title she associates with arsenic is Murder is Easy (aka Easy to Kill). Harkup start with a short summary of the book (no spoilers) then moves into "the arsenic story," which gives a bit of info about the history of this poison, "long the preserve of the rich and powerful." This particular part also goes into past crimes where arsenic was the poison of choice, as well as how scientists came up with tests designed to prove forensically that arsenic was used. From there it's "How Arsenic Kills," which gets into arsenic's chemistry, the symptoms one might show when poisoned with it, and the resulting consequences and effects on the body. The next section asks "Is there an antidote?" followed by "Some real-life cases." [As a sidebar, I'll just mention that Harkup mentions one of my favorite cases here, that of Madeleine Smith, the Glasgow poisoner who got away with murder.] 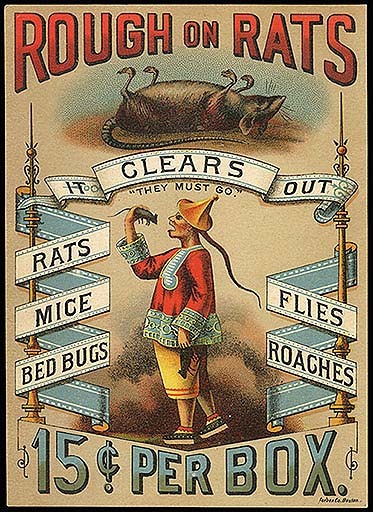 Then we get move to "Agatha and arsenic," where the author goes back to Murder is Easy, once again spoiler free. The only drawback I can see with this book is that each chapter has a subsection about the science of the particular poison -- scientific jargon that I'll admit goes over my head at times. I'll also admit to skimming through many of these sections precisely because I am not by any means a science person. 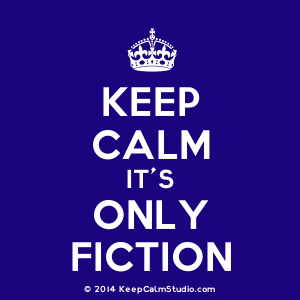 Ask me a question about religions, philosophy or history and I can talk your ear off, but science, well, to me it's often mystifying. However, aside from that aspect, the book is one I'd highly recommend to anyone who is a true Christie devotee, and it's a very welcome addition to my quickly-growing collection of crime-fiction reference books.